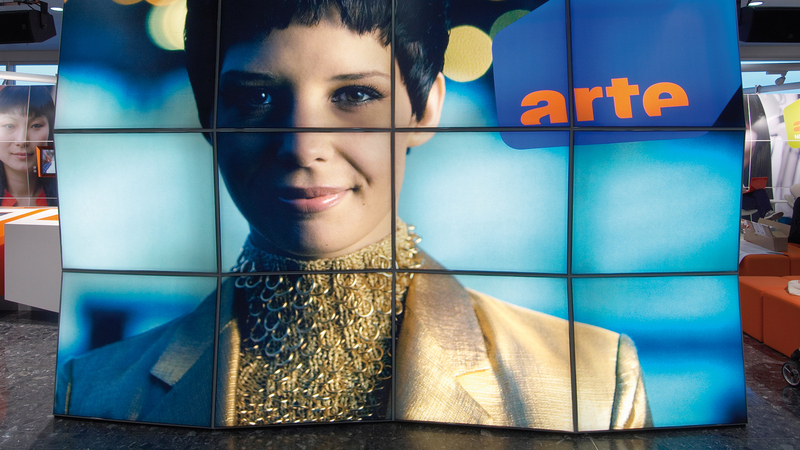 The station ARTE stands for openness, respect, and emotional closeness to the viewer. 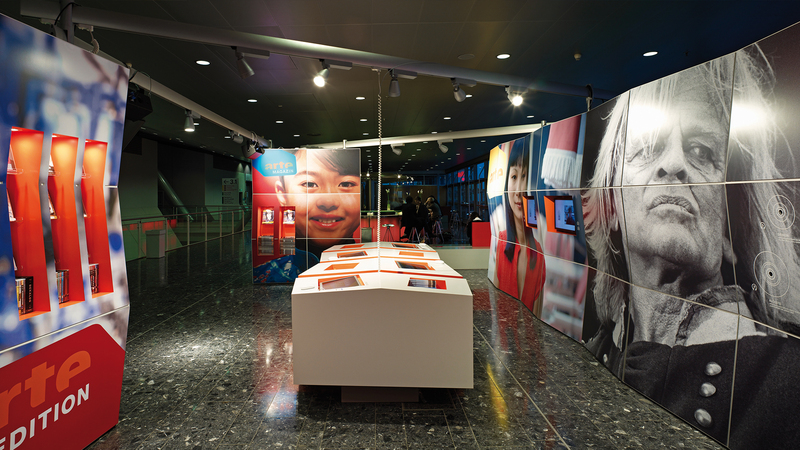 For the Frankfurt Book Fair 2010, the D’art Design Group translated these corporate values into spatial situations. 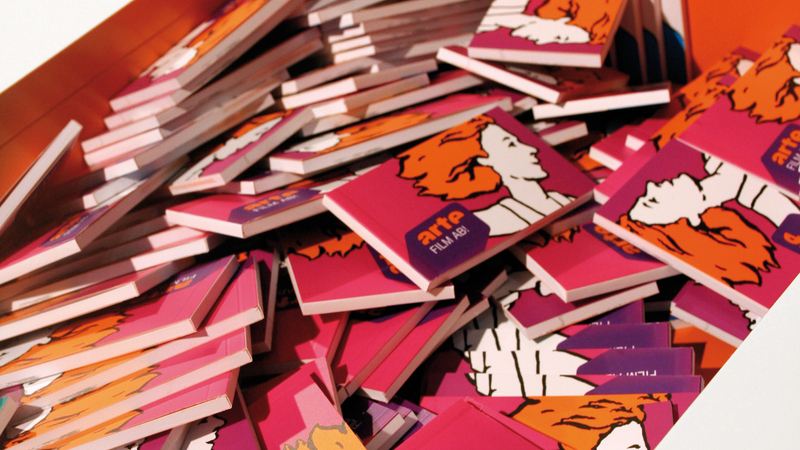 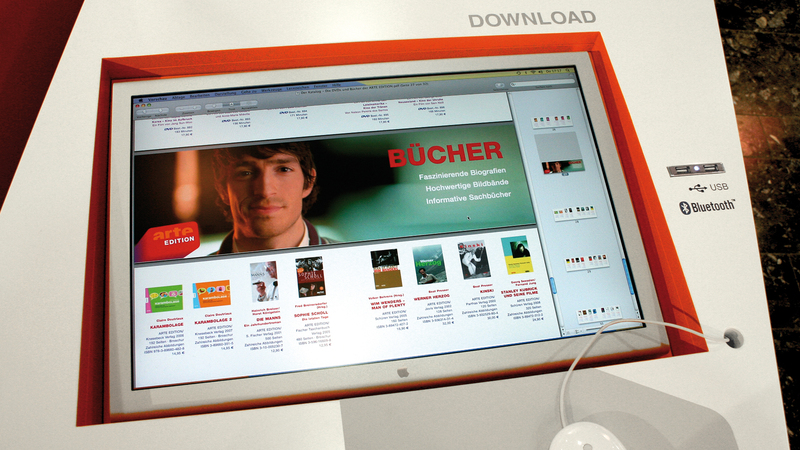 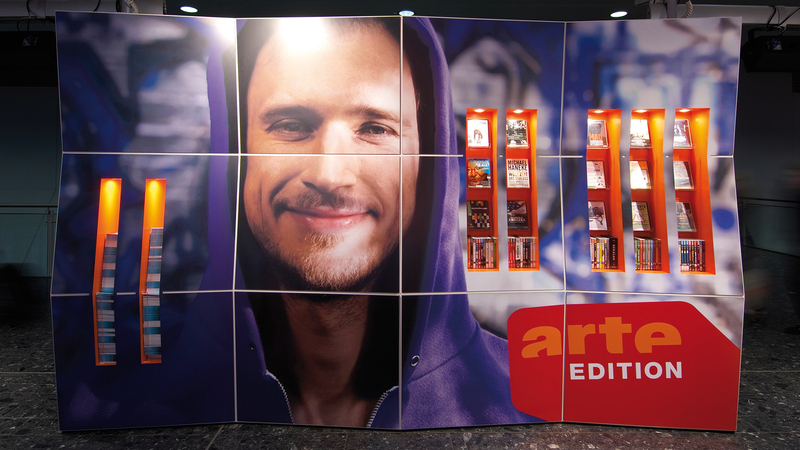 The on-screen-design of the station ARTE was translated into three-dimensionality, vibrant colours and lively pictures for its 112 m² appearance at the Book Fair. 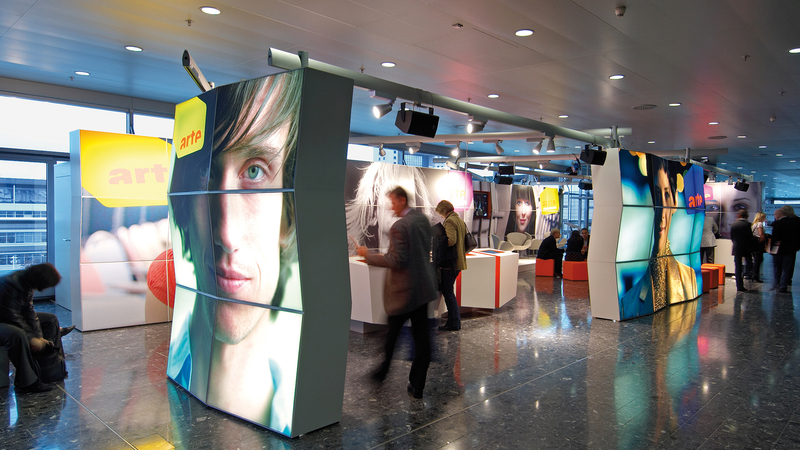 Huge modular walls with portraits of striking faces, construction modules full of nooks and crannies, and the asymmetrically shaped multimedia table reflect the dynamic movement of the television image in a lively architectural language. 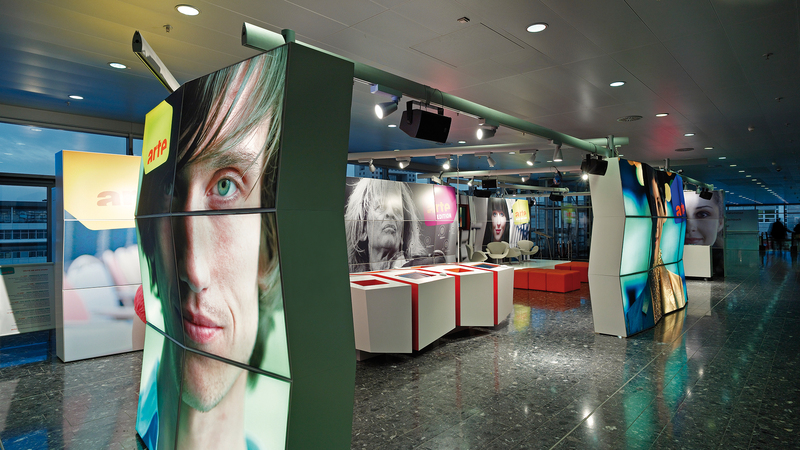 The few elements arranged as an open space, convey a young, colourful image of the broadcaster. 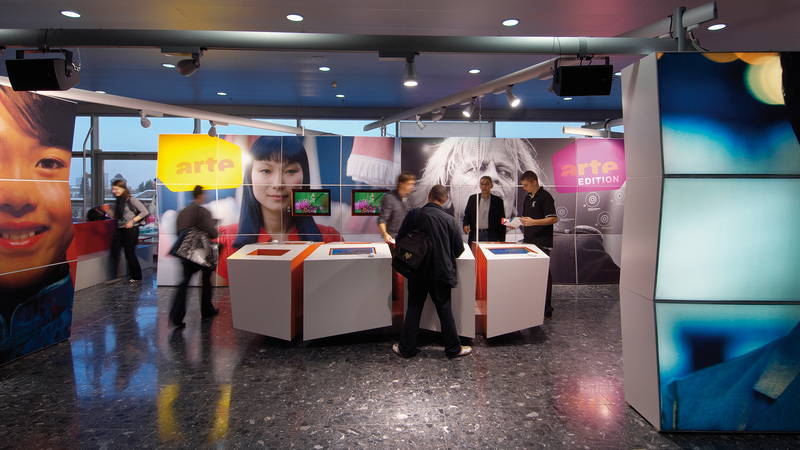 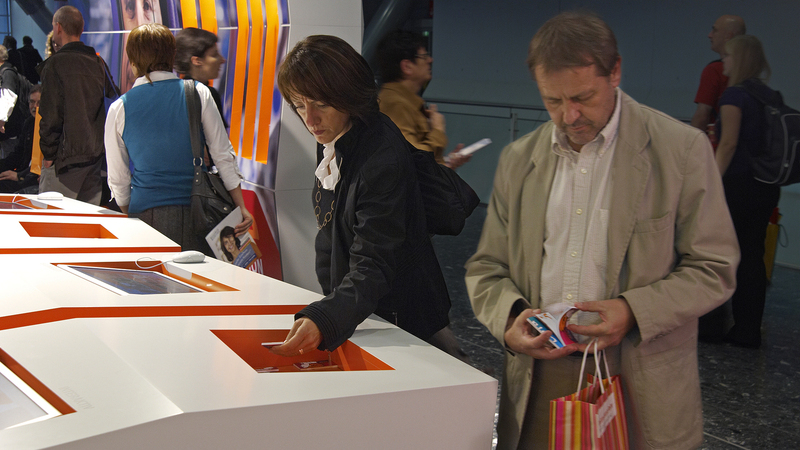 Interactive tools, such as monitors with data transmission via Bluetooth and USB, giveaways and the ARTE stage as a central points of communication, allow the visitor to not only watch the goings-on but to take an active part in them.